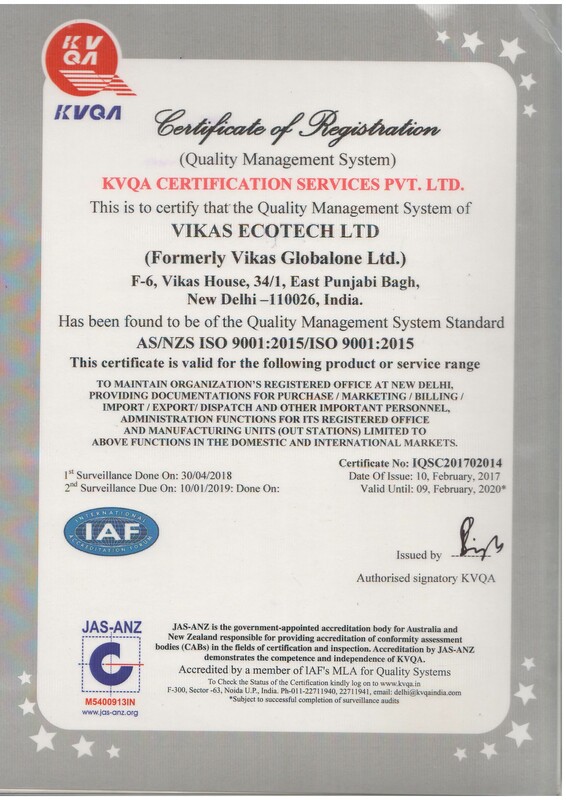 At Vikas Ecotech, quality and growth go hand in hand. We believe the only way to grow in a global competitive landscape is through an unyielding commitment to quality. Our stringent QC measures help us translate our manufacturing output to meet discerning customer requirements and build everlasting trust based relationships. We follow global best practices in quality management to ensure consistency in product grades. Records of vital product parameters are maintained in our laboratory to ensure that we deliver superior quality products to our customers. A dedicated team of quality personnel ensures that each and every product manufactured meets the highest level of QC testing before it goes out in the market.